Six months ago, Twitter was very proud to present its new app, called Twitter #Music. It is a mobile service that uses Twitter activity (Tweets and engagement) to detect and surface the most popular tracks, as well as, pop out artists. Also, it gives you the chance to discover what kind of music or singers, your favorite artist followed, listen to songs by those artists and -of course- tweet those songs immediately. After its “birth” and the numerous good reviews, the app presented a rather disproportionate and significant dropdown in rankings on iTunes. As some sources argue ” in an initial surge the app has seen “abysmal” numbers both in iTunes App Store downloads and engagement.” This statement, is fully supported by Onavo (a mobile analytics company- recently purchased by Facebook) which shows that Twitter’s app is now the #1672 ranked app as of October 19. 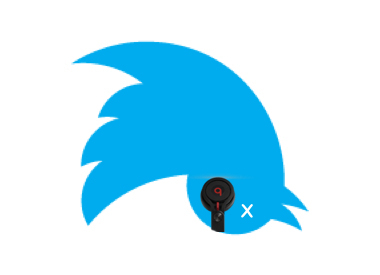 According to AllThingsD , Twitter is revamping the music department and the #Music app seems to be the first to go, as it was never fully integrated with the rest of Twitter’s services. #Music was led by now former Twitter business development leader Kevin Thau, who moved on to become the chief operating officer at Jelly, a startup founded by one of Twitter’s forefathers, none other than Biz Stone. For the records, Twitter hasn’t announced officially the “shutdown” of the app, but we believe that the future focus will be something like partnership with iTunes or Spotify.